It happens quite often in kill shelters, mother dogs only allowed a short time with their new- born puppies before having them removed forever, leaving the confused mother dog behind and, sadly, unlike their puppies, these poor females rarely ever make it out of the shelter alive. We do not believe any mother dog should ever be left behind to die! We believe sh should be able to safely raise her puppies from birth to weaning and be given the same opportunity as her pups to be adopted into a loving, forever home. 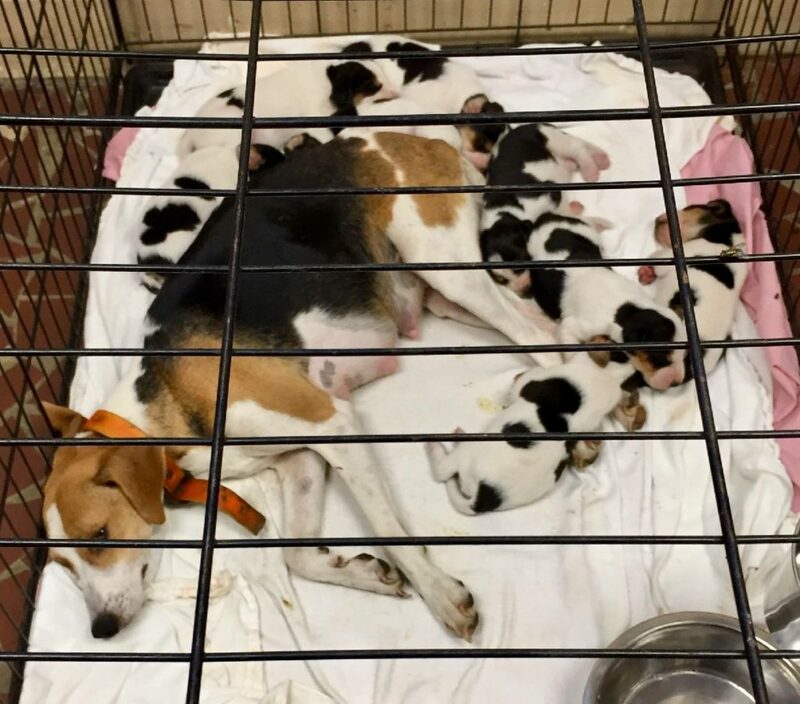 Save-A-Pet works with rescues in several southern states to get these vulnerable mother dogs and their sweet puppies removed from kill-facilities and bring them to our shelter on Long Island. Here, moms and puppies stay together in their own little safe haven. Moms get the medical care they need (often times they are Heartworm positive) and are spayed when it is time. When they arrive at Save-A-Pet, they get to do what they were meant to –raise their puppies. These mother dogs got pregnant because of human carelessness. Save-A-Pet cares. And because of this life-saving program, no mother is left behind! At Save-A-Pet…Compassion is our compass!